Create a career out of your passion for health and helping others. No matter where you are. "We are passionate about changing people’s lives through science and digital education. If you are too, join us and help us make the world a healthier place." Start a healthier, happier life and career. Enroling with us is the fastest way to transform your life, health, and career. We give you the tools and the confidence. Learn at your convenience. Wherever you want, whenever you want. At home, from your tablet, mobile or laptop. Hear from our students themselves HERE or read what our graduates are saying by clicking HERE. Our lessons and practical materials are 100% researched and developed by us. Yes, we are a team of scientists and researchers who are at the forefront of nutritional sciences and feel incredibly passionate about making a meaningful difference. Meet us HERE! Our skill is to examine complex scientific literature and translate it into easy-to-understand practical concepts for our students, cutting through bad science, myths and misconceptions, whilst emphasising the key findings and context in which scientific studies are written, and combining our own insights to make sense of it all in practical terms. Every piece of new content we produce is vetted for scientific integrity, so you know that anything you learn from us has been thoroughly reviewed and investigated. This way, we provide you with reliable science-based knowledge and practical tools, helping you to develop your own expertise. Besides teaching through our certification courses, we research and publish our proprietary Science Reports for our global readers, students and graduates. We self-fund all research activity (that's why you won't find any ads or promotions on our site). You can see our Science Reports HERE. To receive science news and our tips every other Thursday, sign up HERE. Get engaged and connect with other students. Click HERE to read their most recent reviews. Did you know? 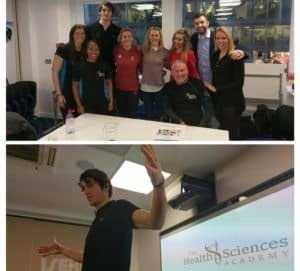 We have Olympic athletes who have graduated in our flagship advisory courses, such as our award-winning Sports and Exercise Nutritional Advisor Certification. As innovators and experimenters, we want to share what we discover. By conducting and publishing our own research, we empower our students to better their own health and to inspire others to do the same. Learn about our proprietary research here. We are committed to enriching our students’ learning experience through our interactive online features, video, audio, downloadable files, community area, virtual classrooms and online assessments. We are super passionate about the latest technology and continually improve our educational platforms and the quality of our systems. Did you know? We use the same multi-media platform as BBC Learning and world-leading universities. In fact, this is one of the fastest loading platforms on the planet. Result: an ultra-smooth learning experience! Study anywhere. You're in control. Learning made easy for you. Certifications offered at The Health Sciences Academy ® are designed to help you master the material and apply it in real life as you learn it. We equip you with the knowledge and the tools to start working on a career that you love, create your own business and begin seeing clients right away. We have significantly raised the standards of distance learning and digital education. Unlike most providers, our courses aren’t a one-off download that will sit unread in your library collection. Instead, we offer our students a gradual and interactive learning experience so they can look upon their studies as an adventure and throw themselves into them with enthusiasm and vigour. This way our students receive both the maximum enjoyment and the maximum benefit from their studies whilst getting qualified in a field that they love. When you enroll in one of our certification courses, you will receive evidence-based lessons developed by our team of scientists with work published in peer-reviewed journals. You can learn at your own pace, reinforce concepts through interactive exercises, participate in advanced research polls, test your knowledge, and put it into practice with a classmate through our Skills Lab™. This way, you gain complete confidence when you are in real life situations with your paying clients. We are a SkillsActive Lead Provider. Skills Active is the government body officially recognised as the UK's Sector Skills Council for Active Leisure, Learning and Well-being. If a course is part of the Ofqual framework (e.g. QCF) we will specifically state that, but most of our courses go above and beyond the existing national framework given that they are custom-made, i.e. you won’t find our curricula anywhere else! Learning outcomes are based on scientific research and on the practical advice from our panel of experts. You can learn more about our awarding bodies HERE. Please feel free to reach out in case anything is unclear or if you would like to know more. Printable templates for your clients. We provide you with the opportunity to create new career opportunities for yourself. 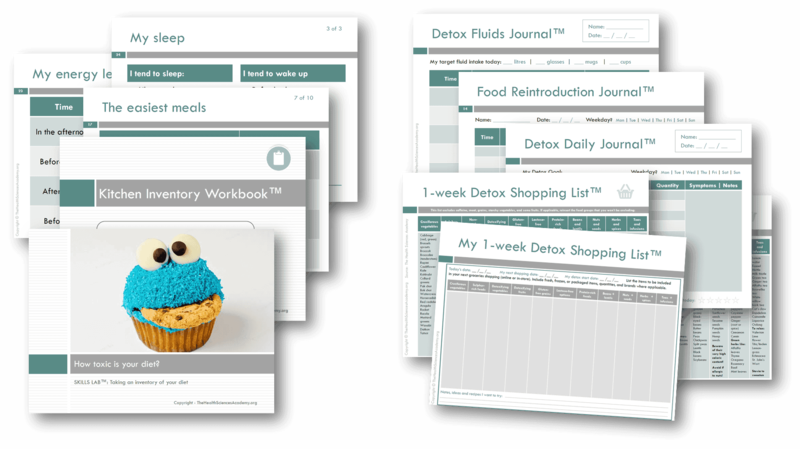 Because of this, we give you advanced tools to build personalised programmes for your clients, including printable templates, planners and worksheets to use with new clients so you can start working in your disciple right away. Our materials and science-based methods are 100% developed by us. This means they are unique and you won't be able to find them anywhere else. When you enrol, you gain instant access to our protected students area and all the required materials at hand. You don’t have to wait for your course to arrive. As soon as you register online, you can get started right away. Our 24/7 Learner Services portal. This is not a sit-back and take notes place. Our certification courses are interactive, customised and you will have 24/7 access to our Learner Services portal throughout the duration of the course you have enrolled for. Our training is endorsed by SkillsActive, the government body officially recognised as the UK's Sector Skills Council for Active Leisure, Learning and Well-being. SkillsActive regulates and verifies training across the industry through an endorsement process, ensuring that training throughout the sectors are of the highest quality and meet the needs of employers. 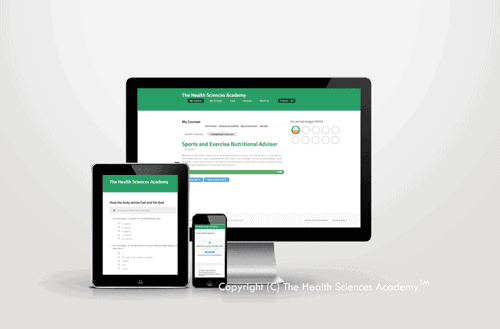 The Health Sciences Academy ® has SkillsActive Endorsed Provider status to deliver CPD training. Endorsed training is awarded CPD points which are passed on to you, the learner. 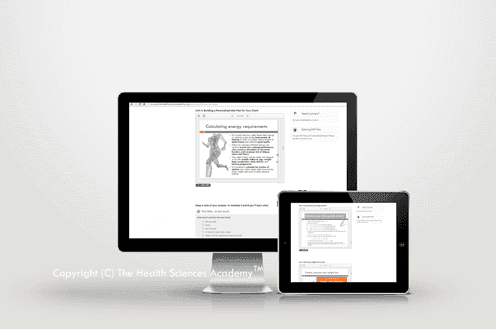 Our training can be found on the SkillsActive Quality Training Portal. 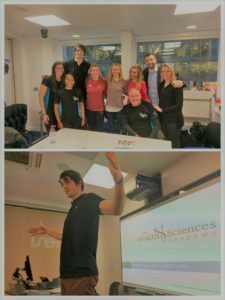 The Health Sciences Academy ® is also a SkillsActive Lead Provider, which means that we deliver Employer training through SkillsActive’s Workforce Development programme and have preferred supplier status on national and regional programmes. We offer courses that are CPD accredited by the CPD Certification Service. Recognised in the UK and internationally, the CPD Certification Service was established in 1996 as the independent CPD accreditation institution operating across industry sectors to complement the CPD policies of professional and academic bodies. In the UK alone, there are more than 500 organisations, professional bodies and associations that require an annual commitment to Continuing Professional Development, such as the NHS, Cancer Research, The British Society of Psychologists (BPS), NSPCC, Bayer, Novartis, Radcliffe, Fidelity, London School of Economics, King’s College London, Imperial College London, The Law Society, and the Institute of Chartered Accountants, amongst others. Our CPD accredited courses can be used to meet professional registration requirements, such as the maintenance of a licence to practise, and to ensure that employees and professionals can evidence their skills and remain proficient to change in practice. 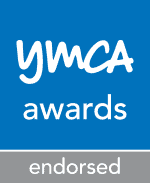 Our flagship advisory certifications are endorsed by YMCA Awards, previously Central YMCA Qualifications, the UK’s leading awarding body for fitness and health qualifications. YMCA Awards develops and awards industry-leading qualifications helping people across the world to develop new careers in the health and fitness industry and beyond. Central YMCA Qualifications (now YMCA Awards) was launched in 1998 as the UK’s first and only awarding body to specialise in health and fitness qualifications. 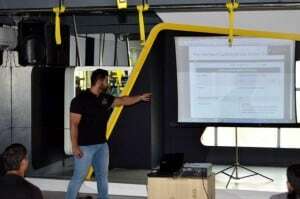 A qualification from CYQ became the first nationally recognised measure of standards and skills for those working in the health and fitness sector and the benchmark for both candidates and employers. And today, it still is. You can find out more about our awarding bodies HERE. We know of various sham providers out there who give our industry a bad name. We steer clear from "fake" awarding bodies, organisations or dubious schemes. The internet makes it easy to copy proprietary materials and someone else's intellectual property, and we do NOT tolerate this awful behaviour. Our content is original, 100% researched and produced by us, and you won't be able to find it anywhere else (unless we specifically reference it). Plus, our certifications are recognised and audited by government-regulated awarding bodies. Unlike many online course providers, we don’t offer a poor PDF ebook with no engagement and call that a “course”. We are passionate about the latest technology and providing an excellent interactive experience. We keep building and implementing new features all the time, so our learners’ experience only gets better and better! "Consumers are confused by a mass of contradictory information. We're here to filter out the fads and provide a solid understanding of the science of nutrition." You do NOT need to be a UK resident in order to enrol to our virtual training. Our certification courses are open to students all around the world. Our certifications carry global portability and recognition. Many of our awarding bodies, including the CPD Certification Service and YMCA Awards, provide international recognition to our courses. See where your certifications with us can take you by clicking here. A great number of students have taken our online certifications to prepare for a geographical move to the UK or other English-speaking countries, so they can get started on a career they feel passionate about without delay. Discover a certification you’re interested in and enrol today. Pick from our broad selection of certification courses. Pay online using our secure SSL server. If you wish to start learning today, simply register online for the course fee or a payment plan - you choose! Learn with other 147,089 students. Watch short videos, take interactive quizzes, complete online assessments, download worksheets and step-by-step action templates, put your knowledge in practice through our Skills Lab™, and interact live with your classmates and tutors. Achieve your learning goals and start working right away in your field. Finish your certification course, receive an award for a job well done, and immediately apply your knowledge in your life and career. During your time with us, you are supported by real people. Meet the whole team HERE! If you have any questions, please get in touch HERE. Click HERE to hear what our graduates are saying and feel inspired!